Hepatitis C is a viral infection of the liver caused by the hepatitis c virus (HCV). Hepatitis means that there is inflammation of the liver. Inflammation is swelling that results when tissues of the body become injured or infected. Inflammation can cause organs to not work properly. The hepatitis C virus causes hepatitis C. Viruses are germs that can cause sickness. For example, the flu is caused by a virus. People can pass viruses to each other. It is recommended that anyone with these risk factors should at least be tested once in their lifetime. How could I get hepatitis C? Hepatitis C is chronic when the body can’t get rid of the hepatitis C virus. Although some people clear the virus from their bodies in a few months, most hepatitis C infections become chronic. Without treatment, chronic hepatitis C can cause scarring of the liver, called cirrhosis; liver cancer; and liver failure. Hepatitis C is diagnosed through blood tests, which can also show if you have chronic hepatitis C or another type of hepatitis. Your doctor may suggest getting a liver biopsy if chronic hepatitis C is suspected. A liver biopsy is a test for liver damage. The doctor uses a needle to remove a tiny piece of liver, which is then looked at with a microscope. When you consider that the hepatitis C virus (HCV) was only first identified in 1989 and that it was largely considered incurable until the latter part of the 20th century, the advances in therapy have been nothing short of astonishing. The most popular treatment was a combination peginterferon and ribivirin but in December 2013, the HCV treatment world changed with the release of Sovaldi, a direct acting antiviral (DAA) that offered fewer side effects, a much shorter treatment duration (12 to 24 weeks), and a cure rate around 95%. Since then there has been new therapies developed that offer even shorter treatment duration’s, high cure rates at a lower cost. Hepatitis C (HCV) now has many safe and effective therapies with all oral therapies. After the proper testing has been done to identify the genotype so the proper and most effective treatment can be selected. There are now treatment regimens that are as short as 8 weeks! 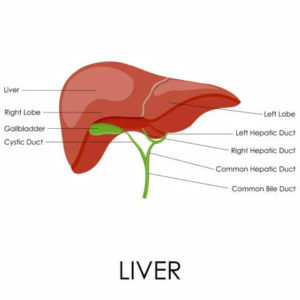 A liver transplant may be necessary if chronic hepatitis C causes liver failure. Liver transplantation surgery replaces a failed liver with a healthy one from a donor. Drug treatment often must continue because hepatitis C usually comes back after surgery. What should I do if I think I have been exposed to the hepatitis C virus? See your doctor and get tested if you are at higher risk of getting hepatitis C or if you think you were exposed to the hepatitis C virus. Many people do not know they are infected. Early diagnosis and treatment can help prevent liver damage. Anyone can get hepatitis C, but some people are at higher risk. You could get hepatitis C through contact with an infected person’s blood. Liver damage can take 10 or more years to happen and is often the first sign of hepatitis C.
Get tested if you are at higher risk or think you may have been exposed to the hepatitis C virus. Many people do not know they are infected. Chronic hepatitis C is now easily treated with all oral drugs that clear the virus causing complete cure! The National Institute of Diabetes and Digestive and Kidney Diseases (NIDDK) supports basic and clinical research into many digestive disorders, including hepatitis C.